I'm not going to apologize anymore because it just sounds lame! Just going to say that Sassy Studio Designs is sponsoring the challenge for Party Time Tuesday. Their theme is to "Decorate the Envelope". From what I hear from my friends, the flu is going around and I did an envelope or a Get Well card. 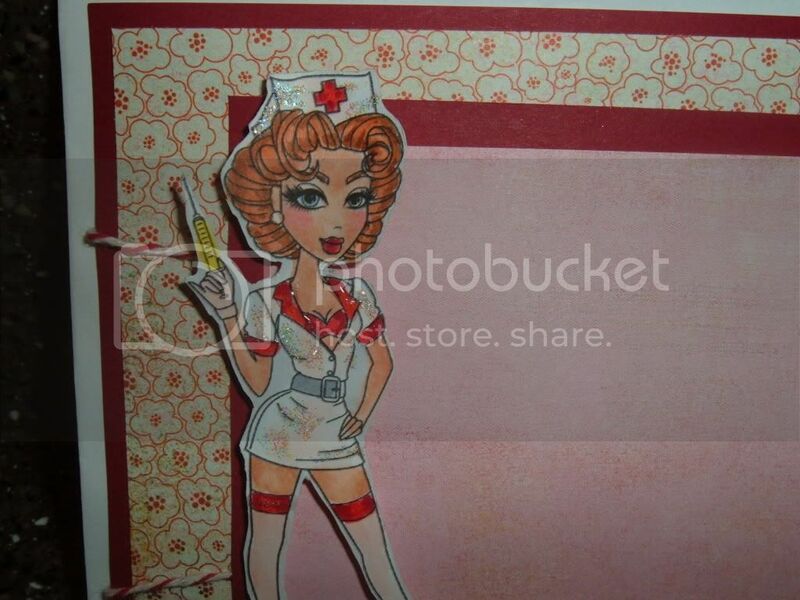 Absolutely love this sassy Nurse Heather (Sassy Nurse) and thought she was perfect for an envelope. I colored her with copics and fussy cut her out and layered her on the outside of the envelope. Doesn't she have the most gorgeous face? Make sure to stop over at Party Time Tuesday and join in their envelope party! Party on down and check out the details! LOVE this! Such a pretty envelope! I love your coloring on Nurse Heather - and the glitter really makes her stand out. Awesome!